Welcome to Refresh Commercial and Business Premises Cleaning, including water damaged carpet repairs. We recognise presentation is vital to staff, customers and your business reputation. We cover shopping centres, hospitals, surgeries, NSW housing, strata, marinas, retail areas, gyms, night clubs, offices and private workspaces and guarantee we will give each and every task the same degree of attention and dedication. Call us now on 0488 963 678. Cleaning on a weekly, fortnightly or monthly basis is available. Emergency water damaged carpet cleaning available 24/7. Whatever your business needs, we are just a phone call away. 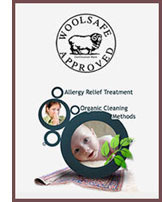 Refresh cleaners use safe, biodegradable, non-toxic and non-irritant chemicals and formula. You can expect first class commercial and industrial carpet cleaning every time with Refresh Cleaning. We also provide cleaning for Office and Commercial Upholstery, Chairs, Rugs, Sofa and Leather Furniture.